Texas agents are invited to watch a special webinar in support of the approval of Standard Life & Accident’s STCi policy. Registration is required to receive the access link for the webinar. This is an overview webinar open to all agents. We’ll focus on why this product is a viable option for Texas consumers and provide an overview of the policy’s attributes. 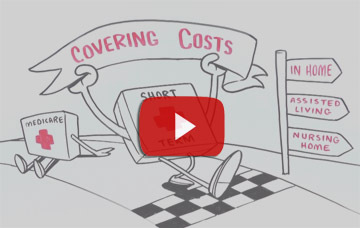 ask your agency for additional product information. A MESSAGE TO TEXAS AGENTS FROM JESSE SLOME. You can click the link above to actually open and read the consumer brochure for the Recovery Care II policy from Standard Life & Accident. If you are an insurance agent, during the webinar, I will explain why I passionately believe this product can benefit your clients and prospects. If you sell traditional or linked benefit long-term care insurance, this product has a very real niche and can provide meaningful value. If you sell Medicare Supplement or Medicare Advantage products, adding this product to your portfolio will benefit your clients … and you. AND, IF YOU ARE A CONSUMER WHO WANTS MORE INFORMATION AND PRICING? PLEASE CALL THE ADVISORY CENTER at 818-597-3205 and we will connect you with a knowledgeable, licensed insurance professional in Texas. They’ll gladly answer your questions (no cost and no obligation) and provide you with costs. 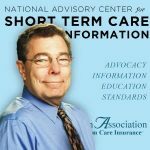 Jesse Slome and the Advisory Center advocate and educate but we do not directly sell short-term care insurance policies.